Dimensions	 87 x 40 x 83 mm / 3.4" x 1.6" x 3.3"
Small, lightweight, easy, fast, and efficient. Best for boiling water. I've used this stove as the primary stove on several Sierra Club backpacking trips for 5-12 people. It boils water fast and is efficient. On a two-night trip with 12 participants, I boiled 8 liters of water each morning and 12 liters of water each evening for a total of 40 liters of water using about 2-1/2 8-oz MSR Isobutane cartridges. I dinged it half a star because valve is hard to locate with a pot on the stove. Setup: is very simple: 1. Take stove out of pouch. 2. Screw stove onto top of canister. 3. Spread supports into tripod. Ignition: The igniter is easy to locate near the stem which takes very little effort to depress. I would say I have used it 40-50 times so far and it lights every time the first time. 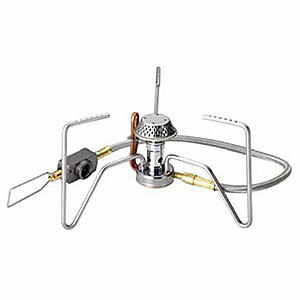 Flame Control/Cooking: The burner is adjustable and you can adjust the flame down for simmering. This stove has a tightly-focused burner for maximizing BOIL performance and efficiency. If you do a lot of simmering or frying, I recommend using a diffuser. Also as a canister-top stove, you cannot use it for baking or with a traditional-style foil / flashing windscreen. 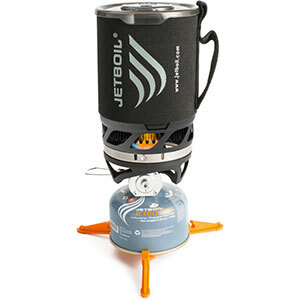 Wind: The stove performed very well for me in windy environments. I did partially block the wind by either placing the stove behind a large tree or rock and close to the ground. Fuel Efficiency: Anecdotally, boiled at least 40 liters of water on 2-1/2 8 oz cartridges. Windy and cool/coldish environment with temps 30's to 50's. Performance dropped over time with partially-used canisters after a few minutes of use. For coldest performance, I start with the lowest canister and wait till performance drops then switch it to a fresh one and then the pot comes to a boil very fast. Stability: Good for a cartridge-topper stove due to low-profile. Consideration needs to be used when setting up to get cartridge-stove firmly on ground and level and where it doesn't wobble. Packability: Excellent. The stove folds up very small in included pouch. Ease of Use: Excellent. 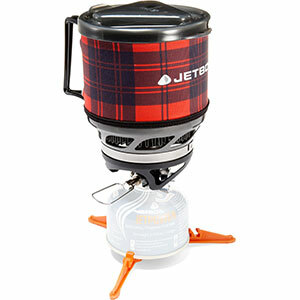 As stated in setup, the stove is very easy to use and is consistently so. Features: Excellent. Piezo makes it easy to light, and the stove is easy to control and use. Construction and durability: Holds my 1-gallon pot full with no problem. No other issues so far. Conditions: Used on three multi-day backpack trips with 5-12 participants, wind, rain and temps in the 30's - 70's. 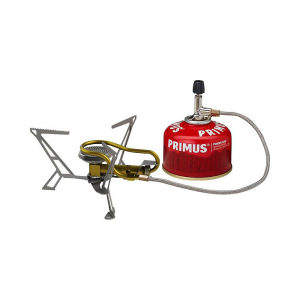 I love the Primus. I have a pocket rocket but I covet the Primus. Great little stove! 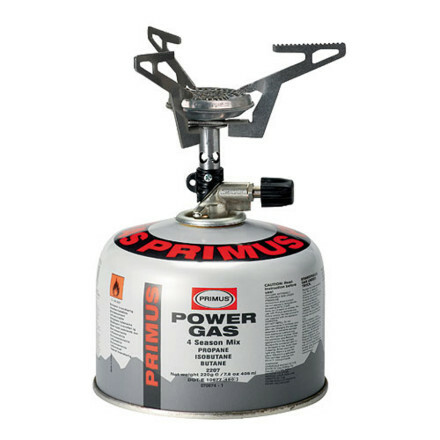 I got this NIB on ebay for $9.95 as a backup stove to my Primus EtaPackLite and ended up using it more than my primary stove. It was quicker to set up and with the diffuser on the Primus pots, it ended up boiling water just as fast. 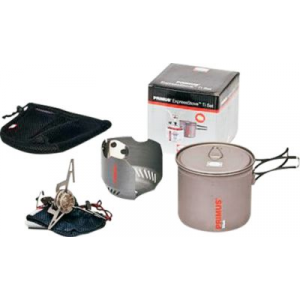 I've been using the Primus EtaPackLite stove system for several years and have really enjoyed it. 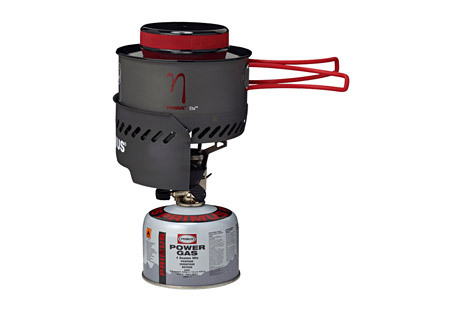 Now that my children have gotten older and can shoulder more weight in their packs, I decided to get a backup stove that they could also use while on our backpacking trips to make their own food. During our summer backpacking trips, I ended up using this stove more often than my primary one. It was just too easy to set up and use. When it got windy, I'd still use the EtaPackLite since it has a more stable platform and a really effective wind shield but on calm days, that one stayed packed up. I got this at an incredible price on ebay so couldn't resist the purchase. I bid $9.95 and no one ever upped the bid. I was a happy camper, so to speak. I've only used this for a single season so I hope I don't start having the issues mentioned in the other review. I live in CO and we typically camp anywhere from 7,000' to 10,000'. I guess time will tell. Worked great at first, but disappointed over time. This stove worked great at first but became clogged, I believe, and would hardly simmer water after the first day. When it worked, it worked great, but haven't experienced the same performance since. I tried everything, clearing the gas port, changing canisters (x's 3) and trying it at different altitudes. I even changed canister brands with no luck. I emailed Primus about a month ago with no response, which disappointed me even more. The reviews of this stove are good so I'm wondering if I just got a "bad apple" and I'm at a loss to why it's happening. I live at 6,000ft and camp at +/- 9,000ft. I've ordered a Snow Peak stove, waiting for that to get here. Chose it based on the reviews, thanks, and I'm hoping to have better luck! Just got the Snowpeak and hooked it up to the same canister that I used with the Primus and it worked beautifully. Definitely the stove.